This is the perfect side to any entree. Not only is it healthy but it is full of flavor. 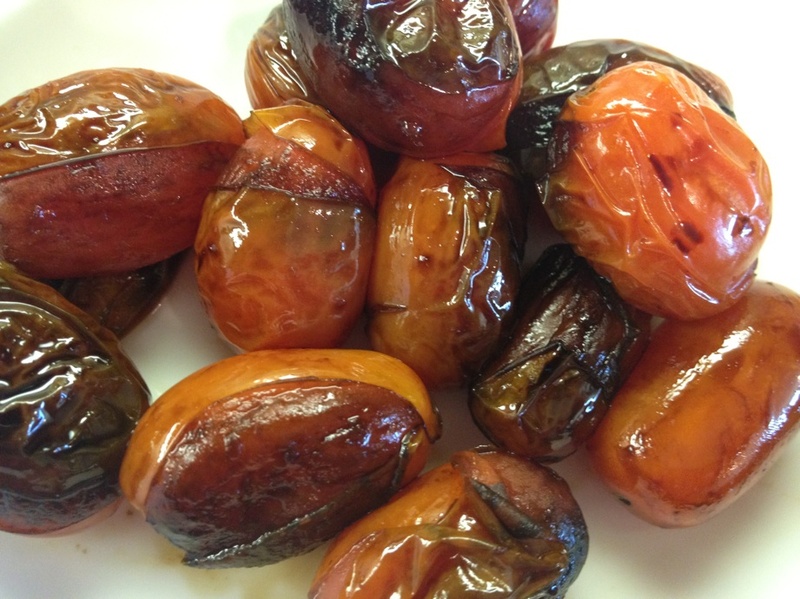 I realize there is not much to this recipe but I promise you that you will not be disappointed. We got the idea to make these tomatoes after eating a similar version at a very fancy restaurant in New York. 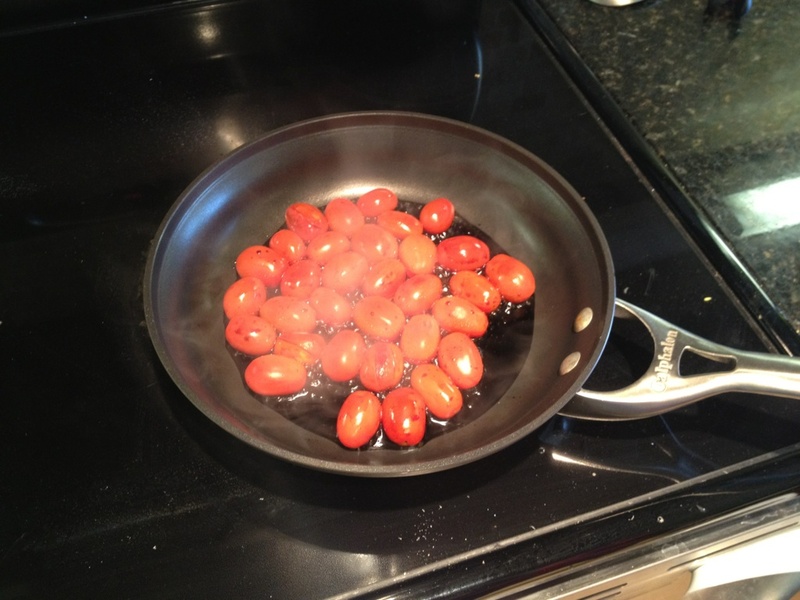 Wash your tomatoes and add to a small saute pan. 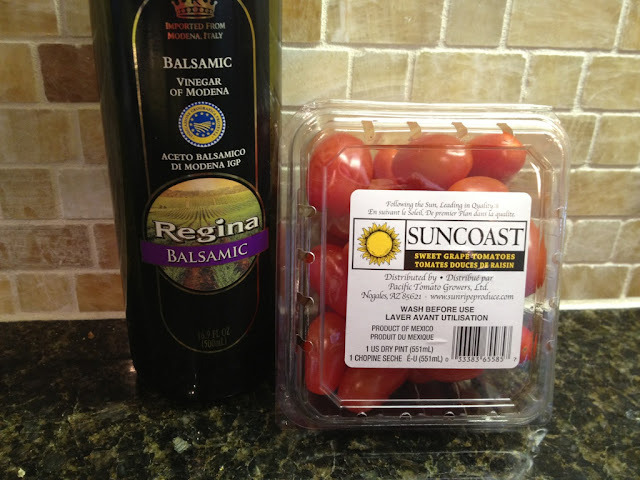 Then add your balsalmic vinegar. 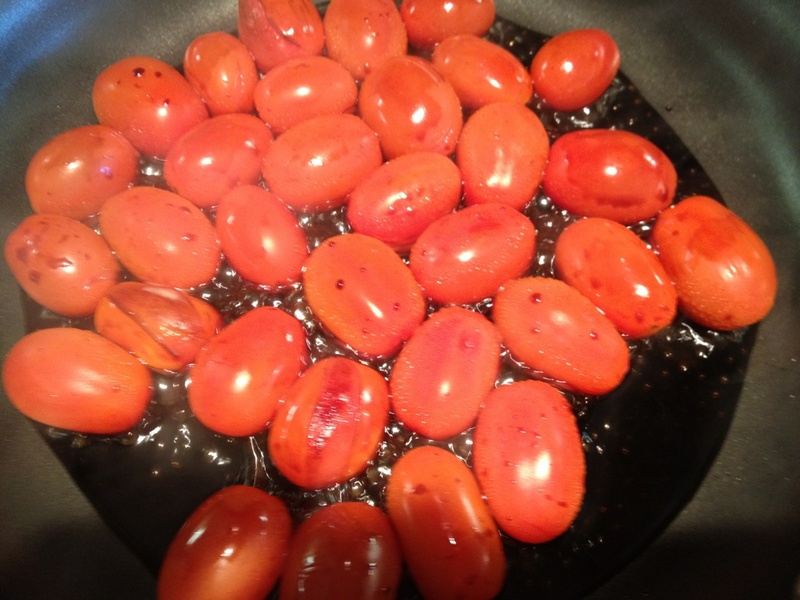 Cook over medium heat for 8 minutes or until tomatoes are soft. Serve hot! This picture may not look appetizing but AGAIN I must assure you they are delicious.